My brain needs a good kick to remember details (that’s why I blog, scrapbook and journal). It’s not like I forget daily tasks or other things that have happened, but I might forget them after a week, month, or year. I was always amazed (and jealous) of my friends that could relate that “time” we had back in high school or their first day going to elementary. I can remember sensations (like standing in front of my school’s doors looking at our class assignments and hoping against hope that I wasn’t placed with so and so), but they’re vague and not concrete. As each day, month, and year flitters by, I’m more and more aware of all of the “wasted” time that wasn’t filled with more sensations to remember and experience. I’m even more reminded when I go to see my grandmother. Her 81st birthday was recently, and the family converged on her square red brick home for cake, pizza and a lot of kid-watching. My cousins seem to have embraced the idea of “big families” whole-heartily with one cousin bringing 5 of his 7 to the party. The party was like every other party, but this time it felt different. Rather than a birthday, it seemed like a holiday – perhaps July 4th or Memorial Day. The family bursting into the birthday song took me by surprise even though we had spent the last ten minutes ribbing my aunt for cutting uneven slices. It wasn’t because we were having so much fun or the laughing, running and shouting of the kids as they played in the kitchen. It wasn’t even the chaos that was trying to figure out how to make change out of a 20 for the pizza. It was because my grandmother had, well, become transparent. My grandmother is a woman of strong opinions. She might not always voice them, but she was sure to join a conversation or to ask what others were talking about. Lately, however, she’s grown more and more silent. This last birthday is the first where the most I heard her speak were a few sentences. She couldn’t remember whose great-grandchild belonged to which grandchild, or their names, but who could really blame her – I found it difficult myself to separate them all out. She’s been having memory lapses for over a year now, but this was different. She might repeatedly ask the same question, but she would interact with the group. This time, she asked a couple and then sat back on her floral couch with an intent, but static smile on her face. She watched people, but never asked them what they were doing, or if she could help. Activities happened around her and so, I’m ashamed to say, everyone interacted without her. After the party, I felt a sad sense of loss. Rather than remembering the party as one where my 81 year old grandmother had fun, felt involved, and was treated equally, I now remember it as a party where she melded into the background. Too often we live a life precariously balanced between the now and the illusion of eternity. Our family was going about the party like any other party. Afterward, I was struck by the stark present and the missed moment. My grandmother has changed- changed in such a way that every present is valuable and clear whereas tomorrows and yesterdays are forgotten. We are running through life with our worries and our joys, but it’s when we notice an absence that we begin to see the preciousness of the now. The present. The immediate. My grandmother now lives in the immediate. I want to join her. Categories: Life, Musings | Tags: family, Health, Musings, stress, thankful | Permalink. Reblogged this on Julissa Jimenez Site. My grandmother has Alzheimers also (ten years of it getting gradually worse), and I remember having a similar moment to you a few Christmases ago. The family got together on Christmas evening, and my granny was near-silent. I’d been away at university for a few months, so I noticed the change in her most which I found shocking. I cried as soon as I got home that night. It’s like losing them before they even die. My sweet Grandmother who had a very smart and quick mind all her life, faded from us slowly during the last years. We failed to see some of the early signs because she hid them so well. My dear Grandfather help cover her lapses in memories. Although there are many stories of her slow steps toward forgetting us I could share, I am most touched that even at the end when we had to help feed her, she always managed to say ,”Thank-you.” The last time I saw her alive, she did not know me but she sat small and frail in a wheel chair and reached for my hand to hold as she just looked at me quizzically and smiled. As I spoke some words to the nurse assisting her, my Grandmother squeezed my hand gentle like she had so many times before to reassure me that no matter what was going on, she loved me. It was that nonverbal language that survived between us. I miss her terribly. As one who has seen the ravages of dementia and Alzheimer’s take over someone I love, let me give you this advice. You and your family will make hundreds of good decisions but you will make some mistakes along the way. Do not beat yourself up. Some days will be very hard but remember, your Grandmother loves you , it is just in a different way now. Such a great post! Not many are brave enough to step forward and acknowledge this is what happens to our seniors who fall into forms of dementia or the beginnings of Alzheimer’s. Sometimes even if you try to interact one-to-one with the aging individual it is difficult. In my work with seniors one of the things I have found that is helpful in engaging is physical contact. I like to break out a foot bath and have the individual soak their feet in some tepid to warm water (add some lavender scented epsom salts). After the soak I carefully dry their feet and then give a foot and lower leg rub. Such close physical contact often softens their hard shell of resistance or it sparks memories and sometimes they’ll start telling a story. The talking part doesn’t always come; sometimes a client or patient will just relax into the rhythmic kneading of my hands and fingers, but a connection is always made. Very good post and so very honest. I think all of us can relate. Loving our seniors “in the moment” is truly a dance unto itself. I love your post. It resonates with a lot of things lived in my family: older relatives who used to be actively in work when young then faded into someone who lost contact with reality and became totally dependent on others. It makes me happy that they made the most of life when they could yet… sad that those family memories were lost with them. I guess life is also about letting go. Both of my grandmothers turn 93 this week. One has dementia; the other is sharp as a tack. I can’t help but think of my own future in relation to them. Which one will I be more like? My memory is not the greatest. Like you, I have better sensations and impressions of my life’s experiences than concrete details. I fear I’ll wind up more like the grandmother with dementia, but hope against hope that I’ll enjoy the continued freedom that my other grandmother has. I truly appreciate your words because I have the same fears. I didn’t quite state it in the post above, but in a way, I did infer it. I want to hope that I have a bit of my mother’s side to battle the dementia in my father’s, but it’s ultimately out of my control. I can only store what I can now and take these memories with me either within or on paper (so to speak 🙂 ). I loved reading this post. Unfortunately I grew up in a different country to my mother and grandmother and saw her only briefly. I remember her stories and her manner/approach. Your use of the word ‘transparent’ really hit home even for someone like me who has had limited time. I hit a stage in life when I was trying to figure who I am and I kept returning to my grandmothers stories. Its why I quite my job and became a storyteller. Its a good way to hold onto the value and meaning when the people arent there any longer. I read your post and it was wonderful, although I’m so sorry to hear about the conflicts in your family. Thank you for the kind comments. Beautifully put. My mom just turned 88 this past July 4th. And we usually do celebrate it like a holiday- because it is- but this year was different. It was a smaller crowd since not all of her 5 children get along well enough to be in the same room. One of my sisters made everyone grilled cheese and tomato sandwiches and we had cake that she baked that was shaped like a hamburger. It was like a pseudo cookout without the condiments. Transparent. I like that. One day I hope to do a whole book on invisible people. Many of us seem to go about life in a type of invisibility. It’s sad, in a way – I can see a book on this, too! Thank you for the comment. Thank you for sharing such a personal and very touching post. My profile pic is of my grandmother in her younger years. I lost my mom four years ago, at 84, and dementia had placed her at an even greater distance from me than our other issues had. A lovely and bittersweet post. I’m sorry to hear about your mother. I think dementia is a very different disease to other more physical ailments. The way it seems to take a person is hard to watch, but I keep reminding myself that my grandmother is a wonderful person today even if she is different. Thank you for the kind words. Thank you for this most beautiful story. I remember when my grandfather finally entered old age at 95. Prior to this as I saw signs of approaching old age, I railed against it. I didn’t want it to come but came it did. Old age and chronological age are quite separate things – both have to be accepted gracefully , with love and with patience. It is hard sometimes – even sad mostly because it seems like time is running out and some things come too late. Stay with love. Enjoy each moment and store it in your special place for later recall.. Love to you always. 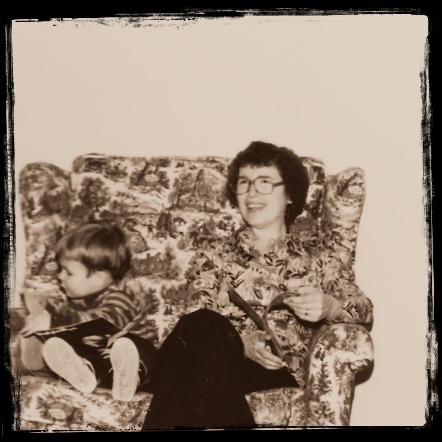 I was slightly different when I started to notice my grandmother’s memory lapses. I tried to make the family aware of it so that we could possibly help her, but it wasn’t something they were willing to deal with at the time. I can understand that, in a way, since it’s such a painful change. Thank you for the lovely comment and thoughts. When you pull a transparency away from the light you actually see the \”item\” in front of you. I have a visual of those projectors from school, with the clear \”paper\” but. when it\’s lying there on the projector it shows itself in a bigger way. Sometimes big isn\’t the answer. Sometimes small is. Maybe to get more of your grandmother, smaller is better. Maybe she\’s overwhelmed because the brain is trying to process too much. Reading this post reminds me of my Gramma (that’s how she spelled it). We lost her last October and I miss her very much. We lived on opposite sides of the country but exchanged letters and phone calls frequently. I only wish I had more time with her…. Lovely, sensitive and tender post. You write beautifully!! Loved your post….. especially the last para is the essence. I think it just so happens that people start living in present when they are able to see that future is gonna be very short now. For example, patients with terminal diseases. All the time, we spend our time, money and energy on building a bright future which never arrives because every moment we worry only about future and never really live the present. In our extended family, I have seen an elderly couple (both in their 80s) living life to their fullest – not dependent on their children for anything – to the extent they give competition to the youngsters on “way of life”. A tale even more poignant when Alzheimer’s is involved. A lady close to my mother is only capable of living in an isolated present, and for her, every clear moment is one to cherish before slipping back into the fog. Such wisdom and a timely reminder. Thank you. Yes, the speed does suddenly seem to catch up to daily life. I wish it could stay like when we’re young, but change is inevitable and change makes us aware of the shortness of time. Thank you for the lovely comment! I was quite surprised it was picked, but I’m so thankful it’s touched so many. 🙂 Thanks! Praise God for someone who understands and realizes this vital subject. Congratulations on being freshly pressed. I’m not quite sure I fully understand it, but I’m definitely trying to muddle my way through it. 🙂 Thank you! Lovely post! you’ve articulated the thoughts so well! A wonderful post! It was a pleasure to read even tho’ it left me with some guilt feelings for not having taken more time with my own grandparents, who I miss terribly. Now, almost 70 myself, I’ve become my grandfather, which complicates my feelings beyond measure. thank you for this post. Very special. A lovely post. My father turned 90 last December and then experienced a stroke in January. He recovered amazingly well, except for certain aspects of his memory, particularly the social aspect – names, dates, etc. His memory around his vocation, his ‘mechanical’ memory is perfect. He remembers what he took a bunch of bolts off of and when, what order he remade certain pieces of his ancient threshing machine. Transparent is a apt description for it. The more people in attendence the quieter he becomes as if it is all too many words to process and sort out and then respond to. Often his comment is three or four minutes after the topic has long been exhausted. It hurts. I am continuously amazed at how our minds work. My grandmother has certain things she remembers, too, but other things seem to slip by. It would be painful to hear her repeat the same story, but now I would be more than happy to hear it again. All too quickly things start to fade and there’s only appreciating what we have no matter what, I suppose. Thank you for your wonderful comment! This one made me cry because it is an apt description of my own mother and the world that swirled around her too fast for her to see. Thanks so much for sharing. Based on this post alone, I am following your blog. You are an amazing writer. Wow, what you wrote is so full of heart. And the thing is, all you said is true. I just made a little prayer earlier to let me spend more memories with a loved one I have in mind and heart. Your post is timely. Thank you. This is sad, but contains such truth. And never forget that the past is gone, the future not yet here. Today is a gift, for your grandmother as well as for you. That’s why they call it the present. No matter what our age, we should all learn to enjoy each day as if it were our last. Definitely true statements. I am becoming more and more aware of how little our time left really is and it makes me more determined to treat each moment as one I would be proud of – a memory that would make me smile. I can’t say I succeed every time, but I do try. 🙂 Thank you for commenting! What a beautiful post. I recall the same feeling about my grandmother, in the few years before she passed a year ago. Treasure your grandmother every moment you can, ask her questions, write down the answers. You’ll be so glad you did. nice post and so true. my parents are 90 and 86 years old…one on one is so much better for us and them. They had a big celebration to celebrate both birthdays earlier this year and my mother was only able to physically tolerate 30 minutes then had to go rest. It was a nice celebration for the people in the assisted and independent living to celebrate my parents and living another day. What wonderful ages! 🙂 I’m glad that they were able to have such a time with your family and those they care about. My grandmother lives alone still, but the family tries to stop in and take her places and sit with her most days of the week. Such an amazing post, love the way you put your thoughts into words!! Do you mind checking out my blog, its brand new and your feedback would mean the world! Thank you for kind words. 🙂 I will definitely check out your blog! What a necessary post. 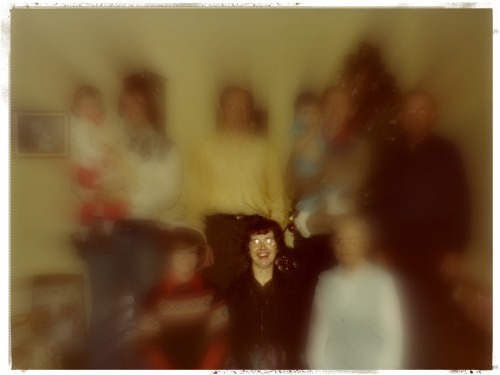 My grandmother began to fade during her last years. Dimensia took over. During special events or special moments, I try to sit back, not say a word, and just observe. It is my attempt at making an impression, a branding, onto my memory. You are wise to observe her new demeanor and to recognize that we must capture the moments as they happen, to be present in that moment. I find myself having to stop and simply enjoy instead of thinking “oh this would be good to blog about” all the time. That was an excellent post, and so true. I really enjoyed it, thank you. thisfloridalife – I am glad that you were able to appreciate the fragility and preciousness of time early on. It wasn’t something I had really tried to do except in a more critical way. I’ve been working on meditation more and more and I think I’m getting better at it. Thank you for the kind comments. How ironic to read your post today. My mother will be 84 this Wednesday, I never expected her to live this long due to her multiple health issues. During the past 10 years she has become increasingly happier as a recluse, not wanting to attend any of our multiple family celebrations. She comes but as you said; she is transparent. Less and less conversation as each year passes and so very opposite the woman she once was. I have made more of an effort to stay in contact with her, call her, stop by etc. One on one she’s great. Just as a mention; a few years ago we grandchildren all got together to celebrate our grandmothers 100th birthday. ( My mothers mother ) She’s passed away in 1970 but all of us still love her. It makes me happy to know you cherish your grandmother. It’s wonderful that you’ve been able to talk with her in an environment she’s comfortable in. 🙂 My grandmother loves people in the house and visits even if she can’t remember them anymore. I think it’s a great idea to celebrate your grandmother’s birthday as a family! So often we drift apart once key members are gone and it’s sad. Thank you for reading and commenting on my post.